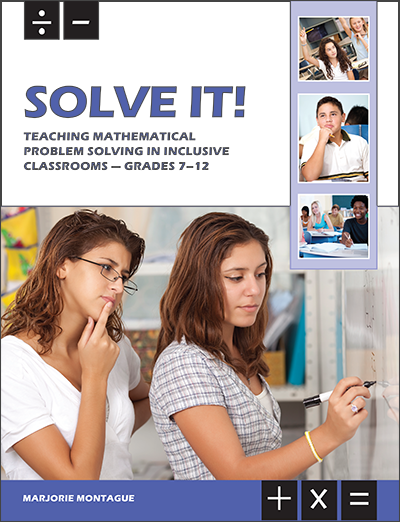 Teaching Mathematical Problem Solving in Inclusive Classrooms (Grades 7-12). Teach critical cognitive and meta cognitive processes. Improve students’ motivation to solve problems. Even more important is that this approach is based on evidence collected from research done in a standard mathematics curriculum. The Evidence on Solve It! Teachers who use Solve It! 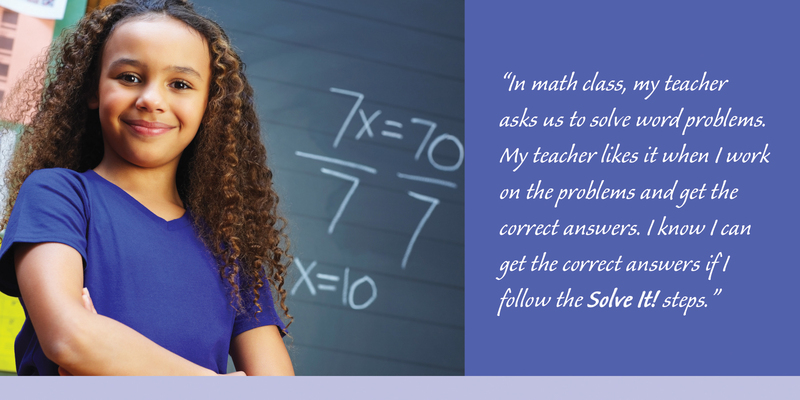 for math word problem-solving skills instruction can help students develop the processes and strategies used by good problem solvers. The instructional guide and accompanying CD provide instructional guidelines, curriculum-based measures, scripted lessons, extension activities, student materials, and an Excel® spreadsheet application for creating student progress charts. What’s more is that Solve It! processes align with the Common Core State Standards (CCSS) (Click to see alignment). Solve It! also aligns with standards in states that have not adopted CCSS (Alaska, Indiana, Minnesota, Nebraska, Oklahoma, Texas , Virginia). Click on the individual state to review alignment.